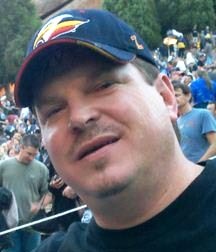 William W. Wendt, 45, of Berthoud, passed away unexpectedly December 20, 2010, in Loveland. Born on August 11, 1965, in Saginaw, Michigan, to William A. and Judy (Bruce) Wendt, he married Barbara Landon on May 23, 1987. He will be greatly missed and lovingly remembered by his wife Barb, daughter Alyssa, son Javan, mother Judy, sister Rhonda, nieces, nephews and his many friends and colleagues. A memorial service will be held at 2 p.m. on Thursday, December 23, 2010, at the Allnut Hunter Chapel, 2100 North Lincoln Ave, Loveland. In lieu of flowers, donations may be made to Colorado Youth Outdoors and Big Thompson Bow Hunters Association. Please view the online obituary, send condolences and sign the family guest book at www.allnutt.com. Site contents copyright © 2019 Recorder Online	except as noted. All rights reserved. | 90 queries in 2.077 seconds.